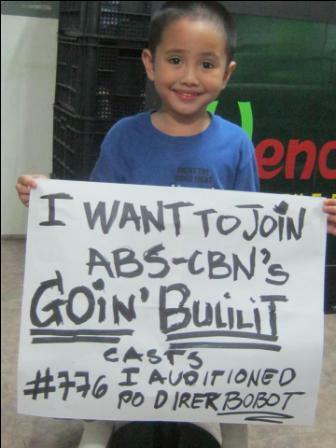 The Search for the New 'Goin Bulilit' Kids Commences! More than a thousand kids showed that they have what it takes to be the next bulilit during the audition of the country’s longest running kiddie gag show, “Goin’ Bulilit”. Held recently at the ABS-CBN compounds, the audition saw kids dancing the popular “Gangnam Style”, singing the high notes of Sarah Geronimo’s songs, acting out heated teleserye scenes and of course, cracking their favorite pick-up lines. 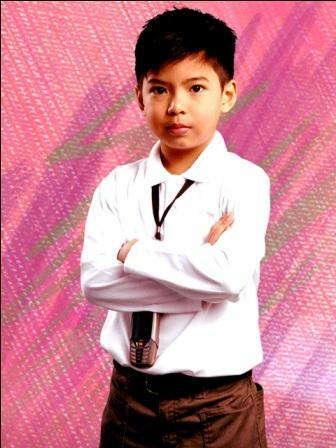 Bulilit graduate Nash Aguas will show the behind-the-scenes of the audition on this Sunday’s episode. According to Nomie Merana, executive producer of “Goin’ Bulilit”, after the first screening, a callback for the shortlisted kids will be staged. Afterwards, the lucky brand new bulilits will be immediately casted on the show and replace the kids “graduating” this month. Meanwhile this Sunday on “Goin’ Bulilit”, the kids will interview Dr. Eric Tayag, Assistant Secretary of Department of Health, for the funny segment “Cute and A”. Apart from this, the kids will tickle everyone’s funny bone through the gags “Vulcanizing Shop”, “Ooh…Eee”, “Ang Corny” and “Stiff Neck”.